Drumsound & Bassline Smith present the video for their new single ‘Through The Night’ featuring vocalist Tom Cane. The video follows a tearaway couple on a last night on earth journey, directed by Tom Gallon from Rokkit and commissioned by John Moule. 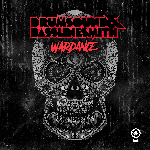 Available to buy from 29th July, accompanied by remixes from Bare Noize, 501, Marco V, The Shadowchild and Horx & P3000.